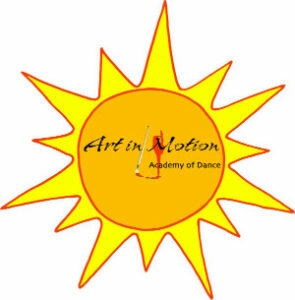 Art in Motion has something for everyone! Monday – Friday Day Programs with optional extended stay and play. Dance, Tumble, Arts ‘n Crafts & outdoor fun!! Stay & Play: Extend your Day Camp to run 9:00a -1:30p Monday – Thursday. Dancers from all programs will join together to enjoy their packed lunches, games & crafts. Pickup is any time between 1:00p -1:30p. Adding this feature to your day program allows you more flexibility to pick up later on Mondays – Thursdays. *$50 non refundable deposit is due May 1st to hold spot. *Final camp balance will be charged to your account the Monday before your camp week. Stay in dance shape by attending this class to maintain your flexibility, strength as well as memory retention. It is important for all dancers to continue to take class so that you can start your season at your best! Class will contain stretch & strength, technique as well as across the floor movement and combination. DATES: Tuesday – Thursday July 30th -August 1st. *$25 non refundable deposit is due May 1st to hold spot.